Ideal to securely store your files, such as lever arch, hanging suspension and box files. Strong shelves, each capable of holding a maximum 60kg uniform distributed load. Fully seam welded and ready assembled. Lockable cupboards, supplied with 2 keys. 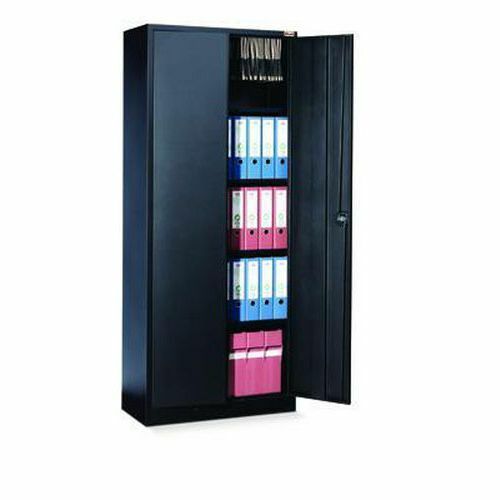 Secure metal office cabinets, designed to store important information in any office environment.